The American military began working on optics designed for use during the dark back during WWII in the hopes of developing what would someday become a priceless tool for warfare. By the end of Vietnam these optics were ungainly and expensive, but applicable for actual field use. 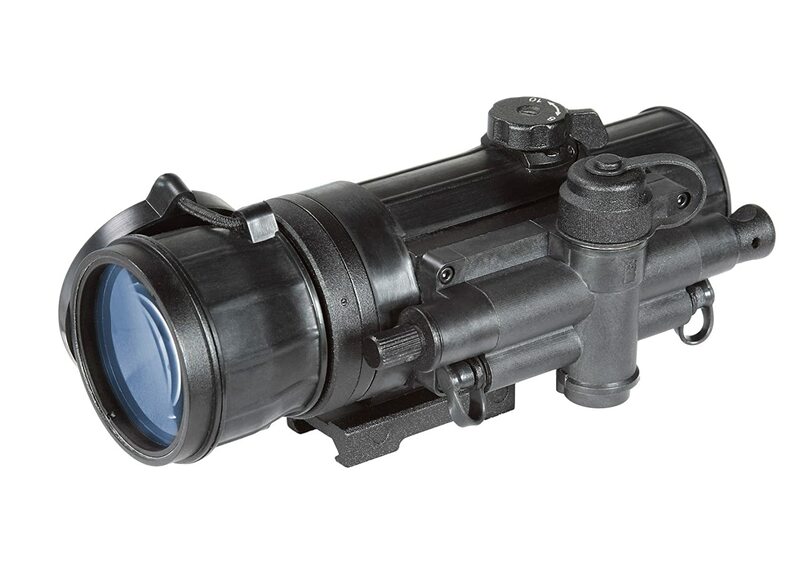 Today these types of optics have evolved to the point that they are available in sizes similar to standard optics and priced low enough to bear consideration by the civilian shooting public. The models available to civilians are still not cheap, but if you want these types of optics, it is now within your grasp. Finding the right nocturnal scope for your application is something that should be done with the right amount of research. Luckily, we have done that for you below. Our first choice is the wide the Yukon NVRS Titanium 1.5×42 (View on Amazon.com) specifically for budget and performance tied into one package. Yukon has been in the business for some time and probably offers more of these products than any other company. 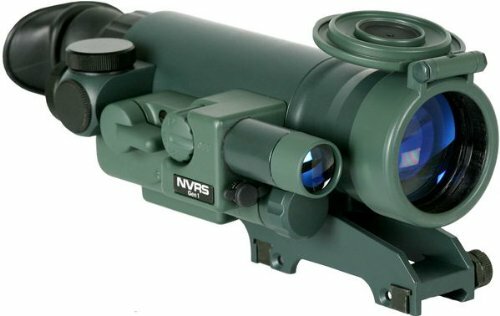 Yukon’s NVRS is capable of enough resolution and clarity that targets are visible out to 200 yards without the use of IR illumination. As a matter of fact, some of the Yukon models are rated above current military standards in terms of resolution. The 1.5 magnification and the well-thought-out red on green reticle allow for MARS optics to be used for a variety of hunting applications. You won’t have to empty your child’s college fund to justify its purchase. The Sightmark Night Raider Rifle Optic, 2.5x50mm (View on Amazon.com) is a unit to consider if you’re just getting your feet wet with these particular optics. This is a first generation model, which means that the user should be able to pick out specific targets at a range up to about 75 yards. This model is also equipped with an IR illuminator with focusable beam which can, under some conditions, extend its range. This optic has a titanium body for durability and a two color range finding reticle.It has enough built-in value and ruggedness to be more than an interesting conversation piece. As a final option, why not convert what you’ve already got into one of these awesome options? 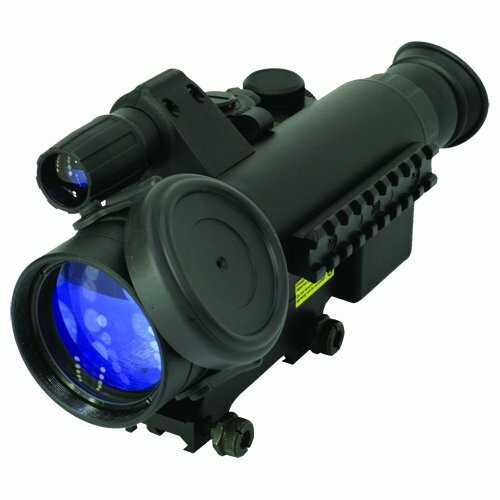 The Armasight CO-MR GEN 2+ SD (View on Amazon.com) is a unit that can be placed in front of a standard rifle optic and gives the user the option of keeping their already existing optics with existing equipment. The CO-MR comes with a quick detach mount for daytime shooting and there is no need to rezero anything when the unit is added or removed. Under proper conditions the CO-MR should allow for use out to roughly the hundred yard mark. MSRP isn’t bad for GEN 2, and allows for more flexibility than standard options. Obviously the CO-MR lends itself more to AR applications than standard hunting rifles because a long Picatinny mount is required to mount it in front, but most interested parties probably intend to use it with an AR platform. If you like to have your cake and eat it too then the CO-MR is a good option. Nocturnal optics are probably geared for the more serious hunter or someone that has enough money to buy expensive toys. If you are on a budget, I’d stick with a more basic product for basic rifles or a traditional AR-15 optic if you are buying for your AR Platform. 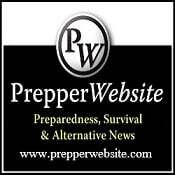 With that being said, if you are ready to dive into this side of the optics world, you cannot go wrong with any of the three mentioned here. Our personal favorite for the cost is the Yukon NVRS, and you can see a good video demonstration as to why we truly love this model by checking out the video below.